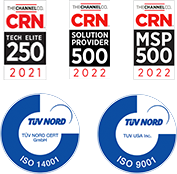 Improving patient care is Capsa Healthcare's number one priority, which is why product development focuses on providing caregiver workflow advantages and improving the integration and acceptance of technology into the patient care process. 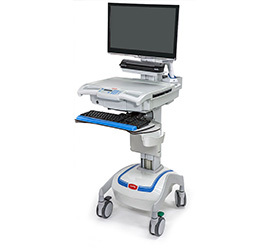 We are a recognized leader in the development and manufacture of mobile computing nurse workstations, medication carts, wall arms, and wall cabinet workstation solutions. For healthcare facilities striving to enhance patient care, safety, and staff productivity, we design our carts to be ergonomic, lightweight and customizable. 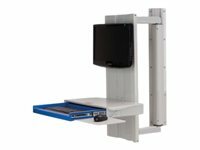 The non-powered, ultra-lightweight SlimCart™ glides easily through tight care settings, providing a flexible, cost-effective solution for mobile documentation. 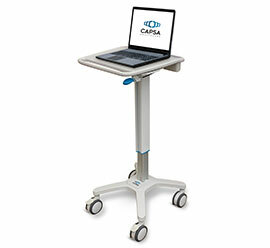 The compact profile and 4" casters allow for simple mobility through doorways, in patient rooms or in hallways. The SlimCart™ provides a generous work surface with a slide-out mouse surface on the left or right side, and is configurable with your choice of laptop, tablet, or lightweight computer monitor. For more information, please reach out to your Zones Account Manager! 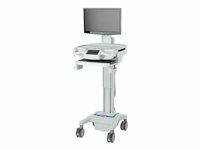 The M38e Registration cart is a flexible, mobile workstation that enables you to move easily from one patient room to another. Multiple drawer and bin options provide ample storage and smart organization of supplies. Choose from an array of accessories to best accommodate your choice of printer, scanner and electronic signature pads. To customize your solution, please reach out to your Zones Account Manager! 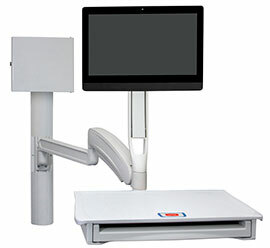 The Capsa Fluid ULT Arm is designed to provide maximum stability, flexibility, and functionality to facilitate clinical documentation and patient interaction in nearly any healthcare environment. Includes a 34" track, arm, extension arm, work surface and a tech box. Large premium work surface with left / right mouse surface.